The year will coincide with the 150th anniversary of the table’s creation by Dmitry Mendeleev. It will also mark a number of other milestones in the history of chemistry, including the discovery of phosphorus 350 years ago, Antoine Lavoisier’s categorisation of 33 elements in 1789 and the formulation of the law of the triads by Johann Wolfgang Döbereiner 190 years ago. The decision was announced by the International Union of Pure and Applied Chemistry (Iupac), whose proposal to celebrate the periodic table in 2019 coincides with its centenary, and was supported by several organisations including the European Association for Chemical and Molecular Sciences (EuCheMS). 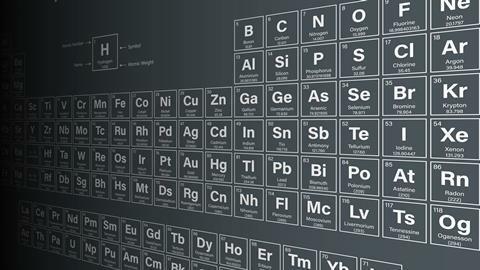 Iupac says the year will raise global awareness of chemistry and show how the periodic table is ‘central to linking cultural, economic and political aspects of the global society through a common language’. Events will be coordinated by an international steering committee together with the United Nations Educational, Scientific and Cultural Organization (Unesco). That is very good news. My university is going to organize an event on periodic table. what kind of assistance and coordination can you provide us for organizing this event. Carl Wilhelm Scheele is long overdue for some credit on the table.